The Münchner Derby 1860 München vs Bayern has always been an integral part of the city’s football folklore. During 1860’s heydey in the 1990s and early 2000s the match was hotly contested and a main event in the Bundesliga calendar. Coached by Werner Lorant 1860 frequently qualified for European football and more than once managed to take points from their glamorous city rivals. But then in 2004 1860 was relegated to the Bundesliga 2 and the city has not seen a Münchner Derby in the Bundesliga since. In fact, it has been almost nine years since the city of Munich has seen a proper Munich derby. Drawn together in the 2007/08 DFB Pokal quarterfinal Bayern eliminated 1860 München thanks to a questionable penalty in extra time. With the lack of a proper derby, the Amateur-Derby between the two clubs reserve sides in the Regionalliga has more or less become an ersatz-derby for fans of both clubs. The relegation of 1860 München’s first team from the Bundesliga 2 and the subsequent refusal by investor Hasan Ismaik to pay for the Liga 3 licence has meant that 1860’s first team has replaced 1860’s reserve side in the fourth division Regionalliga Bayern. Dropping down two divisions has been labelled a major catastrophe for 1860 at first, but since the start of the season, the blue half of the city has felt a significant revival and home games at the Grünwalder have turned into festivals. The drop down two divisions has meant that 1860 München have been able to get out of the Allianz Arena contracts and return to the Stadion an der Grünwalder Straße, which is located in the district of Giesing where the club has its historic home. 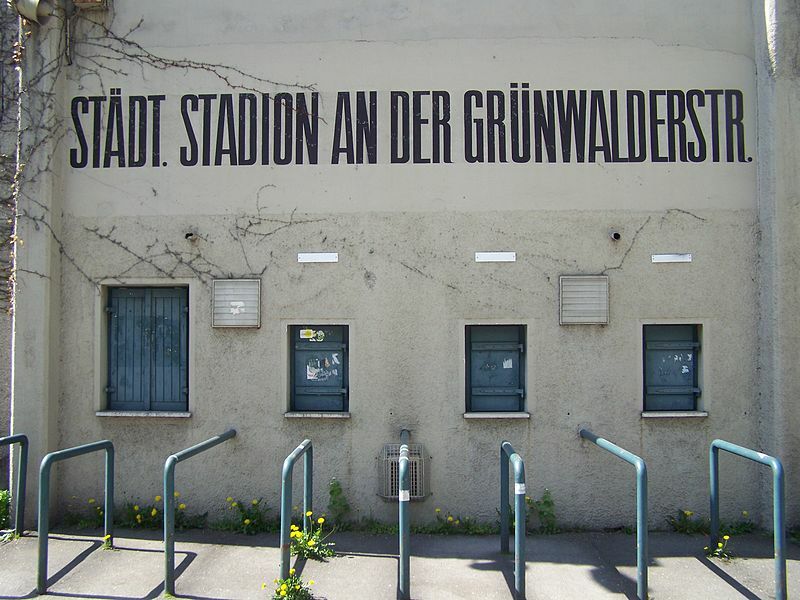 Back in their old neighbourhood with a squad that mostly consists of the 1860 reserve side that finished second in the Regionalliga Bayern last season plus several additions from the Bundesliga 2 team it is no surprise that the Grünwalder Stadion has become a real fortress for die Löwen. That fortress, however, was stormed in the fall by Bayern II. Bayern’s reserve side also calls the Grünwalder their home. But Bayern II have averaged just 489 people per game at the facility. Nonetheless, Bayern’s board flirted with the idea to move the game to the Allianz Arena. This could have set the stage for another attendance record set by travelling 1860 supporters, who already had flooded the stadiums in Augsburg (25,442) and Nürnberg (23,056) to set new records. Bayern’s management then decided to severely limit the tickets 1860 fans could buy, which resulted in a call by both fan groups to boycott the match. In the end, Bayern decided to move the game back to the Grünwalder, while at the same time also limiting the number of tickets sold to 1860 fans to just over 1000. It was another decision made against football fans as it is unlikely that many Bayern fans will head to the match, which in turn could result in a poor atmosphere at the game. In fairness, however, at the time when the decision was made Bayern II still had a realistic chance of catching 1860. 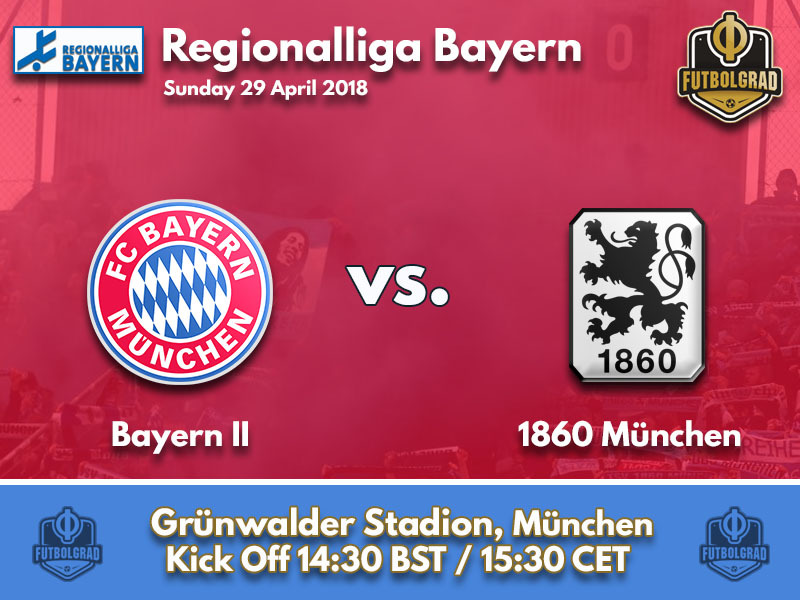 Now, however, with just three games to go 1860 have a nine-point advantage, and a 16-goal advantage, over their biggest rival’s reserve team and even a defeat in the derby would only postpone the inevitable 1860 Regionalliga Bayern championship – and the right to face Saarbrücken in the promotion playoffs. Bayern II, in the meantime, want to prevent 1860 to celebrate the championship in the derby. Both teams have been on excellent form as of late, and it should, therefore, be a game with two teams on the same level with the likely result being a hard-fought draw that would seal the championship for die Löwen. Kwasi Okyere Wriedt is Bayern II’s top scorer. Signed from Osnabrück this summer Wriedt has scored 18 goals and six assists in 26 Regionalliga Bayern games. Furthermore, the forward’s goal-scoring prowess was awarded by Bayern München head coach Jupp Heynckes who fielded the striker in the Bundesliga against Borussia Mönchengladbach and in the DFB Pokal against RB Leipzig in the fall. Sascha Mölders is the Regionalliga Bayern incarnation of the Brazilian Ronaldo. Despite carrying a few extra pounds, the striker has been in fantastic form for die Löwen scoring 18 goals and 14 assists in 31 games. Mölders was among the players that decided to stay at the club following 1860’s fall from the Bundesliga 2 to the Regionalliga Bayern one year ago. Staying around to repair the damage Mölders could achieve legendary status by bombing his team back to professional football. 1860 can reach the promotion playoffs, where they will face Saarbrücken, with a draw. Bayern won the return fixture 1-0. The defeat against Bayern II was their first home defeat of the season. Prior to that match 1860 München last played Bayern II during the 1992/93 Bayernliga season. Promoted at the end of the 1992/93 season 1860 won the match in the Hinrunde and then tied Bayern II in the Rückrunde. Coached by Werner Lorant 1860 München would follow promotion to Bundesliga 2 with a straight promotion to the Bundesliga—the first side in German history to achieved double promotion from the third to the first division.